That there hath past away a glory from the earth. Shout round me, let me hear thy shouts, thou happy Shepherd-boy! The fulness of your bliss, I feel- I feel it all. I hear, I hear, with joy I hear! Whither is fled the visionary gleam? Where is it now, the glory and the dream? A six years’ Darling of a pigmy size! With light upon him from his father’s eyes! Thus blindly with thy blessedness at strife? Heavy as frost, and deep almost as life! Can utterly abolish or destroy! And hear the mighty waters rolling evermore. Then sing, ye Birds, sing, sing a joyous song! As to the tabor’s sound! In years that bring the philosophic mind. Forebode not any severing of our loves! To live beneath your more habitual sway. Another race hath been, and other palms are won. Thoughts that do often lie too deep for tears. Whereby the haystack- and roof-levelling wind. Yet chose a bandy-legged smith for man. For beauty’s very self, has charm made wisc. From this vile world with vilest worms to dwell. If thinking on me then should make you woe. And mock you with me after I am gone. Was the very proof of me? 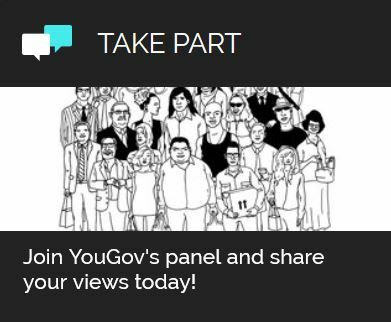 As a YouGov panelist every time you participate in a survey you will receive points which you can redeem for great rewards. The more you take part, the more rewards you'll receive!